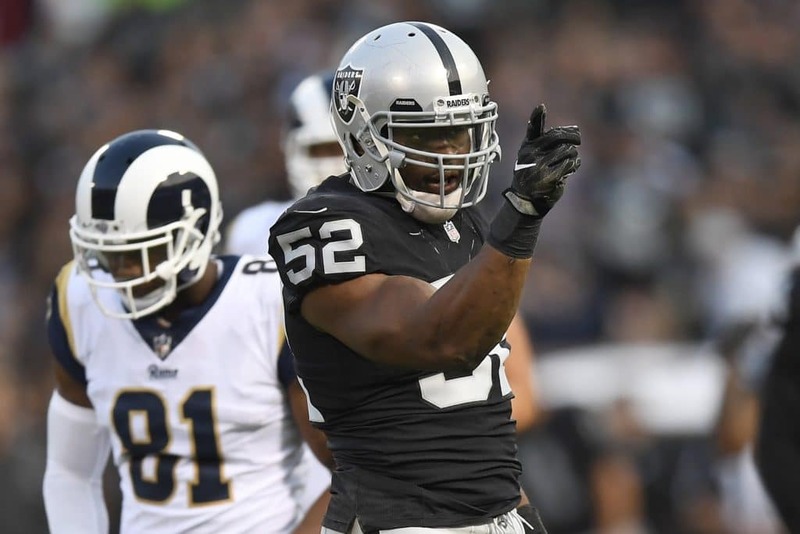 One of the biggest lingering questions throughout the summer in the NFL was over the status of defensive end/linebacker Khalil Mack. The Oakland Raiders pass rusher had literally missed everything he could possibly miss, so much so that head coach Jon Gruden hadn’t even met him yet. So to say his status was up in the air would be a major understatement. All of that looks resolved now, though, with sources indicating that a deal is in place for him to join the Chicago Bears. This would be a monumental deal in that he would be just the fourth player in history to be traded the year after winning Defensive Player of the Year honors. It’s a risky move, no doubt, but this is seen by many as a good thing for the Bears- and a bad thing for the Raiders. His teammates, former teammates now, aren’t too happy with it, but it really can’t be all that surprising given his hard stance on the matter all summer long. Elsewhere, big moves are looking more and more likely to be coming to Los Angeles next season. After signing LeBron James this summer, the Lakers are getting ready to make waves yet again when free agency occurs next year. That’s because, according to sources, the Lakers will be buying out Luol Deng’s contract to free up the space. The Frenchman will become a free agent and have plenty of suitors, but the Lakers will be happy to open up the possibility of getting Kawhi Leonard to join LeBron and creating a new superteam in L.A.
To continue the theme of acquisitions and roster moves, the Toronto Blue Jays have traded third baseman Josh Donaldson to the Cleveland Indians. The Indians are, by the looks of it, the winners of a massive fight to sign him with the Atlanta Braves and New York Yankees supposedly just two of the other teams that had considered him. It is a decent move for the Tribe, given that Donaldson can be very, very effective when healthy. He’s had a tough time battling back from injury this season, but they will be hoping he plays like the Donaldson of last season to boost their chances at a deep postseason run.